The tale of how a young boy ascended to become the greatest ruler of Mongolia centres this epic tale of love and betrayal from director Sergei Bodrov. 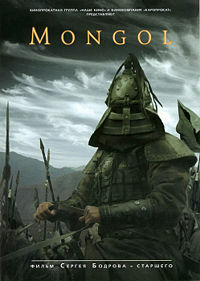 Nine-year-old Temudgin sets off with his father, a khan, to search for a bride. Travelling across the region�s stark and beautiful tundra, Temudgin sees a girl whom he proclaims to be his wife, though his choice runs counter to his father�s wishes. But Temudgin�s life instantly changes when a group of Tartars poison his father. Even though he is next in line to rule, the rest of the tribe refuses to accept leadership from a young boy. They cast out his entire family, forcing them to eke out a meagre existence. An epic about courage and resourcefulness follows, as the boy becomes a man.